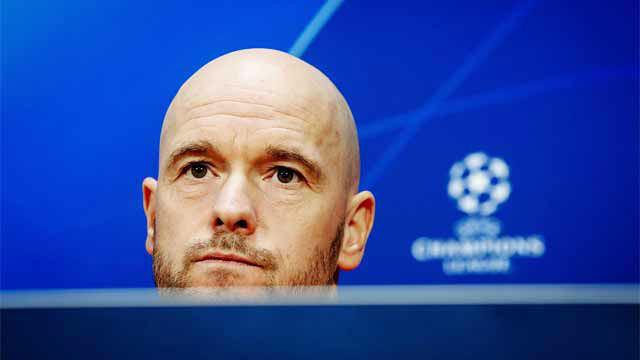 Ajax coach Erik Ten Hag said on Tuesday that midfielder Frenkie de Jong "is in good shape physically" and "looking forward" to play on Wednesday against Real Madrid, but admitted that he will wait until the day of the game to confirm his presence in the side. De Jong's been a doubt since getting injured in Saturday's surprise loss to Heracles in the Eredivisie. After keeping him on at first, he had to be taken off after 79 minutes with a "small abductor muscle problem." "At first, it seemed he would be OK, but that wasn't the case," Ten Hag said, adding that "he's been able to rest over the last few days" so he hopes to include him in his starting lineup. Asked if De Jong's 75 million euro move to Barcelona in the summer could have influenced his form -- his performances have dipped in recent weeks -- the coach said no and that the Dutch international's only objective is to "finish the season well." On Real Madrid, he added: "They're still one of the favourites to win the Champions League. They've improved a lot recently. We will have to find solutions [to beat them] but we will do so sticking to our game."